Capital Market Services LLC, a leading Forex brokerage firm, has partnered with Red Paladin Inc., a technology firm that specializes in Cloud Services, to offer the CMS Virtual Desktop Interface (VDI) for Forex trading. CMS VDI supports MetaTrader 4, ForexTraderPro and VT Trader 2.0. Using a browser window, traders can access their demo or live accounts on their virtual environment from anywhere and place trades, upload and configure EA’s, set preferences, and even request custom applications or tools such as Autochartist or Microsoft Excel. VDI services take the traditional Forex VPS model to the next level by offering traders a dedicated virtualized machine as opposed to space on a large shared server like most standard VPS products. This service eliminates the need for physical hardware and its associated performance limitations, and protects users from the risks associated with conducting financial transactions on a shared network. CMS VDI users’ machines live on a managed dedicated network where traders can leverage Red Paladin’s resources for blazing fast and consistent execution speeds from anywhere in the world. “The ability to run your EAs or any automated trading system in a professional server environment, without the worries of having to leave your home or office computer running and supported 24 hours a day is a major plus for serious traders,” stated Joshua Bernstein, Director of Sales and Marketing at CMS Forex. VDI services are fully accessible from most mobile devices and experiencing MT4 or VT Trader on your iPad is a “revolutionary way to trade on the go” according to Mr. Bernstein. CMS VDI is free for active CMS clients and is available to anyone for $40 a month. Visit www.cmsfx.com/forex-trading-services/vps to learn more. CMS Forex was founded in 1999 by professional Forex traders, Forex brokers and software developers. Since its inception, CMS Forex has identified traders’ needs and built its core trading platform, VT Trader™, to accommodate its loyal client base. CMS Forex is a leading provider of foreign exchange (FX) trading and related services to clients in approximately 170 countries. 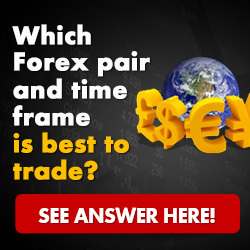 The Company serves institutional accounts and, with Forex.com, offers a diverse array of trading platforms combined with unmatched execution and customer services to facilitate direct access to the global FX markets for individual traders. CMS Forex and its affiliated group of companies are headquartered in New York City, London, and Hamilton, Bermuda with representative offices in Boston, Shanghai, and St. Petersburg, Russia. The group holds registrations with the Commodity Futures Trading Commission (CFTC) in the United States, the Financial Services Authority (FSA) in the United Kingdom, the Bermuda Monetary Authority (BMA) in Bermuda. Red Paladin was established in 2001 as a full service Technology Integration Firm headquartered in Piscataway, NJ with satellite offices in India. Red Paladin has the expertise in providing Virtualization/Cloud Services, Managed IT Services, and Custom Application/Software Development Solutions to clients across multiple industries. By offering companies around the world access to the Helix Cloud for their customized Infrastructure as a Service (IaaS) requirements, the company is able to integrate organizations large and small into an IaaS based IT model.